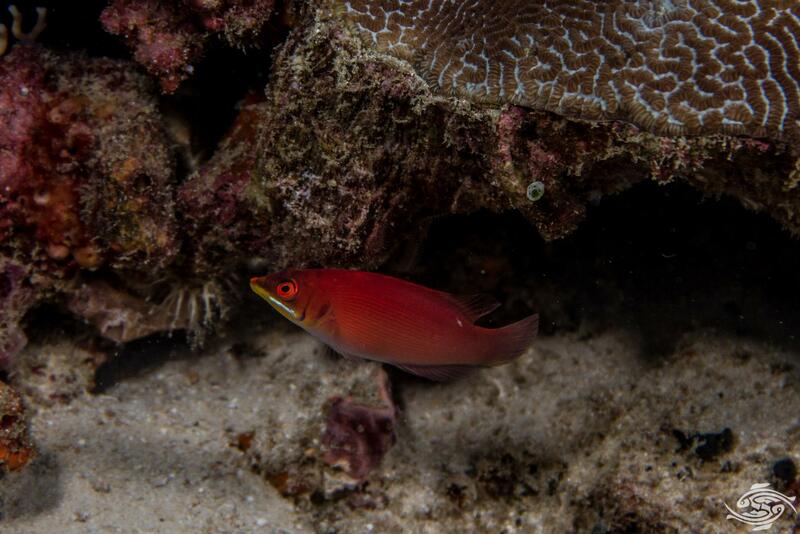 The Striated wrasse, Pseudocheilinus evanidus is also known as the Disappearing wrasse and the Secretive wrasse. They obtain the latter two names because of their extremely reclusive behaviour. Unless one is looking out for them they are hardly ever seen in the wild. Even when seen they seldom remain in view for very long. 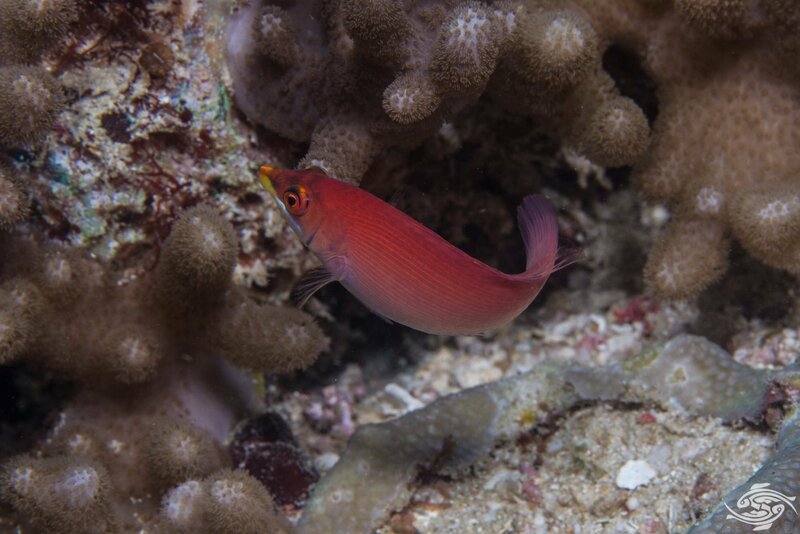 As with most wrasses they are protogynous hermaphrodites. This means they are all born as females. 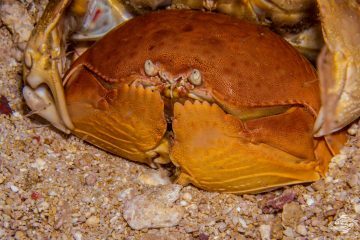 Depending on social cues they have the ability to change into males. 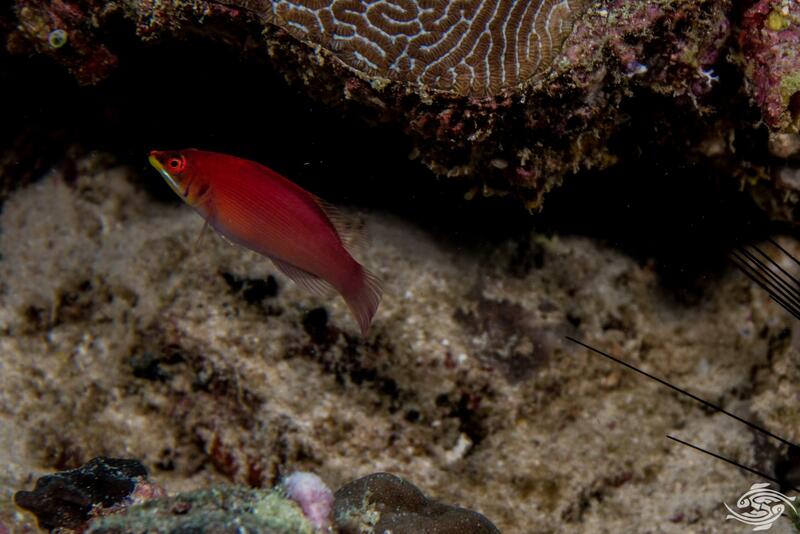 The Striated wrasse has very little variation in coloration as they age which is unusual for wrasses. They have a relatively sharp pointy nose as can be seen in the images. The overall body color is pinky orange and they have a series of light orange lines across them. The lower jaw is green and there is a prominent white stripe below the eye. Females are slightly duller than males. Differentiation of the sexes is difficult given that they are usually solitary. 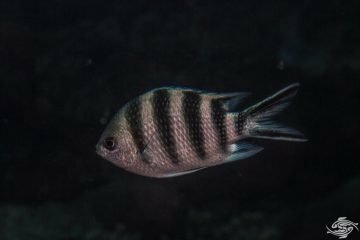 On some of the larger brighter individuals there is a vertical purple stripe just in front of the gill plate. This could possibly be a means of differentiating sexes but we are not certain about this. They grow to a maximum size of 8 cm but are usually around 6 cm. 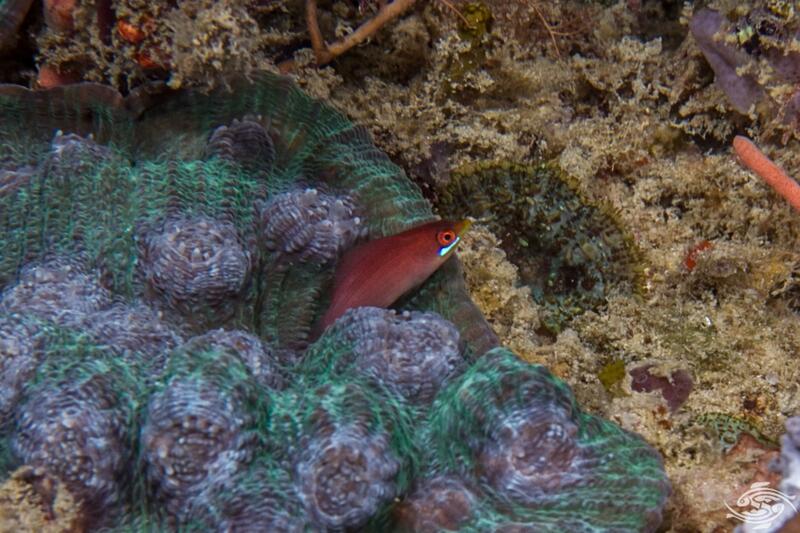 The Striated wrasse is extremely reclusive and one usually only obtains fleeting glimpses of them. They are usually solitary but on rare occasions are seen in pairs. 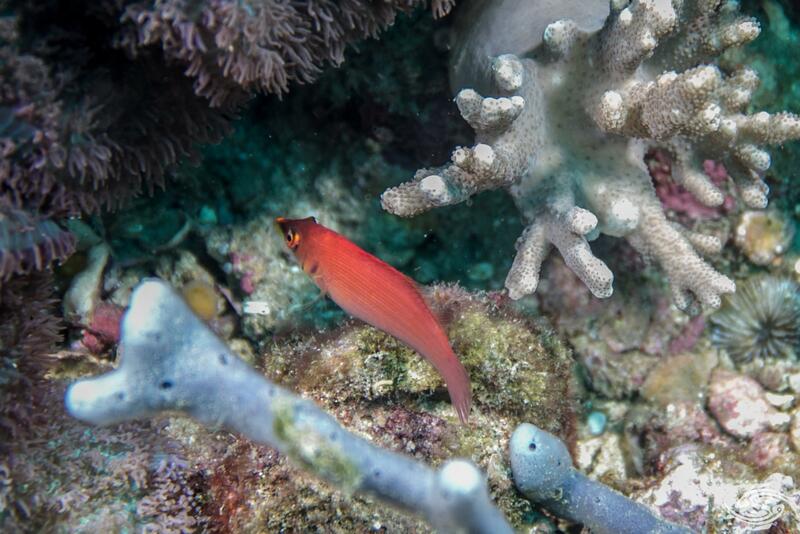 In Tanzania they are usually seen at depths of 25 meters on the top edge of walls with abundant soft coral growth. Occasionally they are seen around the 15 meters mark. 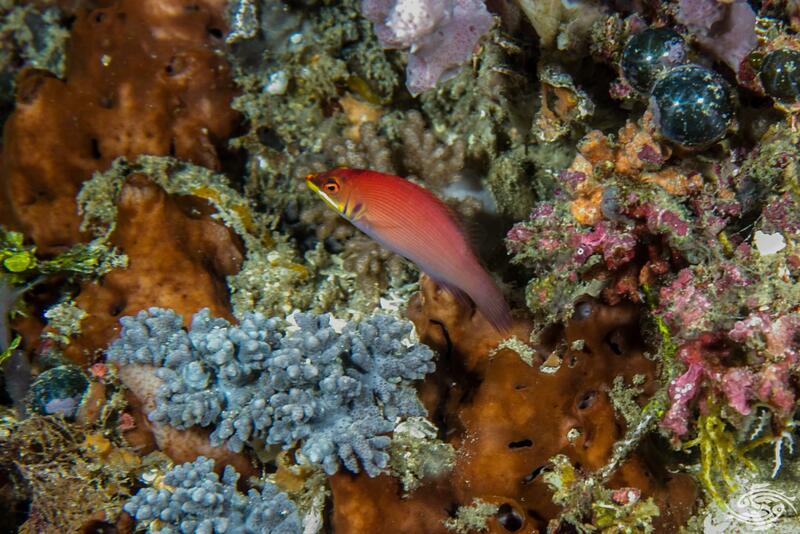 The Striated wrasse is found across the Indo West Pacific area, down to southern Kwa-Zulu Natal. 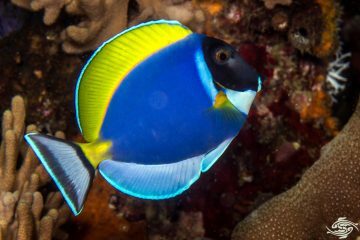 In Tanzania they are usually only seen at around 15 to 25 meters and being shy prefer areas with abundant hiding spots and soft corals. They seem to prefer the top edges of walls at around the 22 to 25 meter mark. 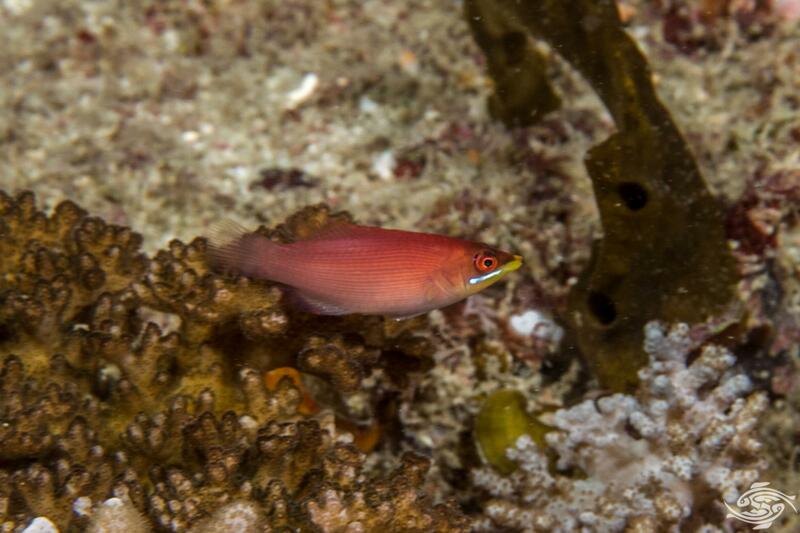 The Striated Wrasse have sharp pointy mouths and feed on small benthic organisms. Because they are so reclusive little seems known of their breeding habits. 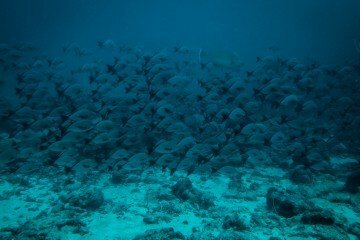 In spring in Tanzanian waters one occasionally sees two together and this may be mating behaviour. Striated Wrasse are becoming more popular amongst aquarists. Both for their coloration and for their beneficial ability to keep bristle worms in check. They are also hardy and easy to get onto a prepared diet. 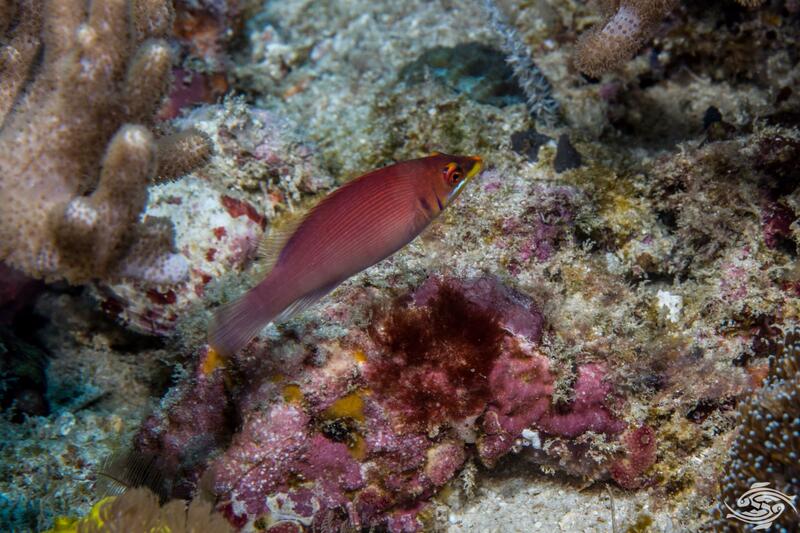 If they are provided with abundant hiding spots they are less likely to become aggressive towards other fishes. 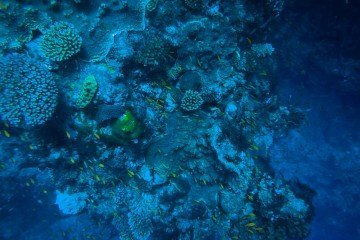 They are considered reef safe because their diet does not include coral polyps.